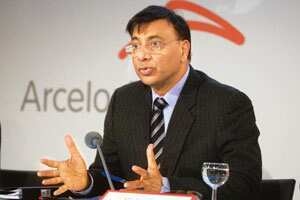 London: Lakshmi Mittal, the chief executive officer of the world’s biggest steelmaker ArcelorMittal, said the company plans to focus on expanding in emerging markets and its strategy hasn’t been altered by a slump in demand. “We are focusing on growth in the emerging markets," Mittal told reporters on Monday at the World Steel Association’s annual conference in Beijing. “There is a delay in all the implementation due to the global crisis but our strategy remains unchanged." ArcelorMittal, which is based in Luxembourg, produces steel in countries including Kazakhstan, Ukraine, South Africa, Argentina and Brazil. The company’s operations in Asia and Africa accounted for 13% of sales last year, while Europe and the Americas accounted for 53% and 33% respectively, according to data compiled by Bloomberg. The company’s shares rose 59 cents, or 2.3%, to 26.04 euros in Amsterdam trading. They increased 53% in the past year, valuing the company at $60 billion (Rs2.8 trillion). Steel companies are resuming output at mills from the US to Russia and China as the world economy recovers from the global economic downturn and customers restock depleted inventories. The World Steel Association said on Monday that the global steel market has bottomed and will grow by 9.2% next year as demand rebounds in the US, Europe and Japan. The price of European hot-rolled coil, a benchmark product used in cars and construction, has advanced 21% to 435 euros a tonne since reaching a low of 360 euros a tonne on 22 April, according to data supplied by Metal Bulletin Inc.
China’s steel output, the largest in the world, reached a record this year as the government spends $586 billion on a stimulus programme. Chinese benchmark steel prices have gained 20% since November when the stimulus was announced.